Oldest FO in my history, anyway. 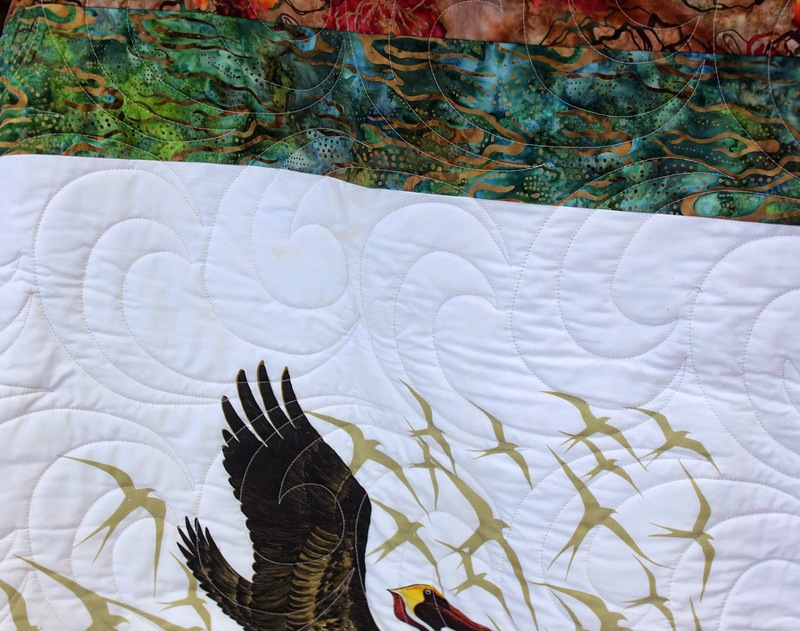 When my mother passed away in 1988, I inherited her fabric stash, including some quilt blocks she'd hand-pieced and a pelican panel. 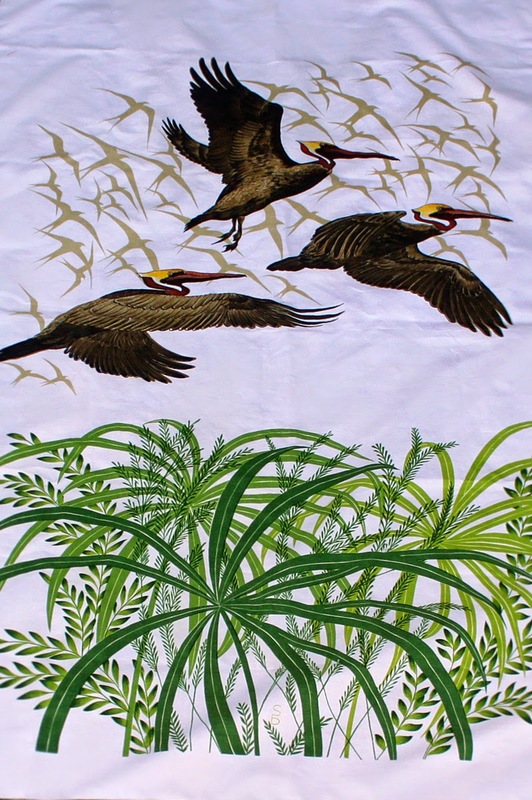 Mom loved pelicans and had them all over her home, so this panel was special to me. It needed to become something equally special, so I packed it away while I thought about it. 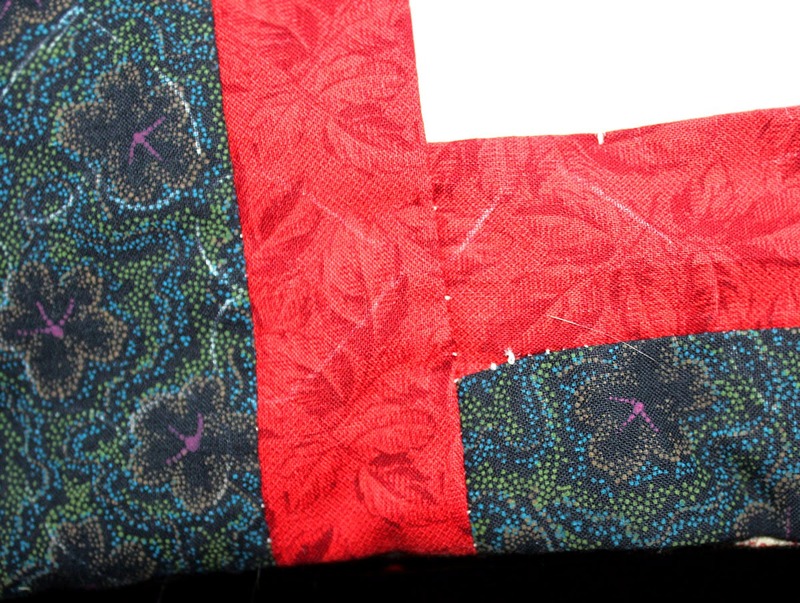 but that was before I had taken any quilting classes and it was pretty much a disaster. Eventually, I gave up, carefully packed the panel away again, and there it sat. Until this month. 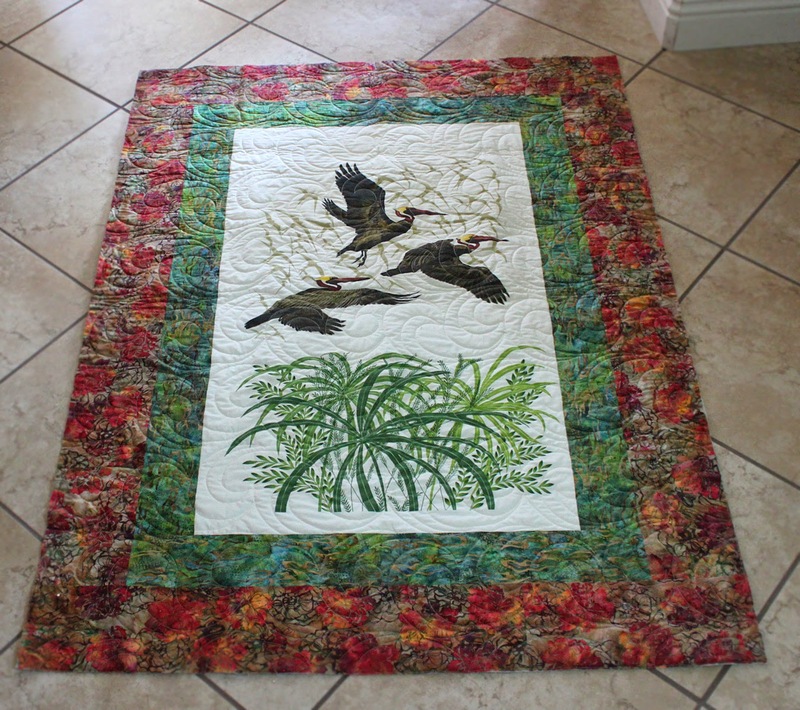 A bit of sisterly sadness got me thinking about Mom and the pelican panel. 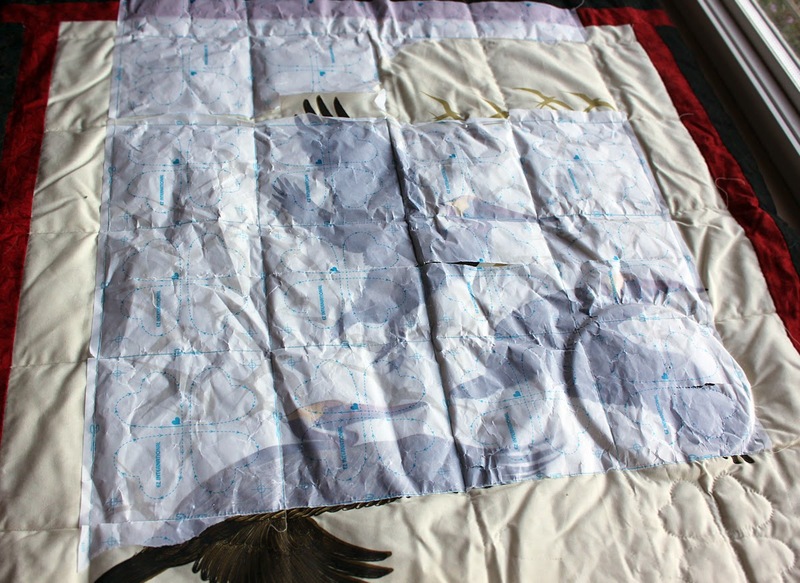 So I got it out, carefully cut away the previous quilting attempt, and started over. 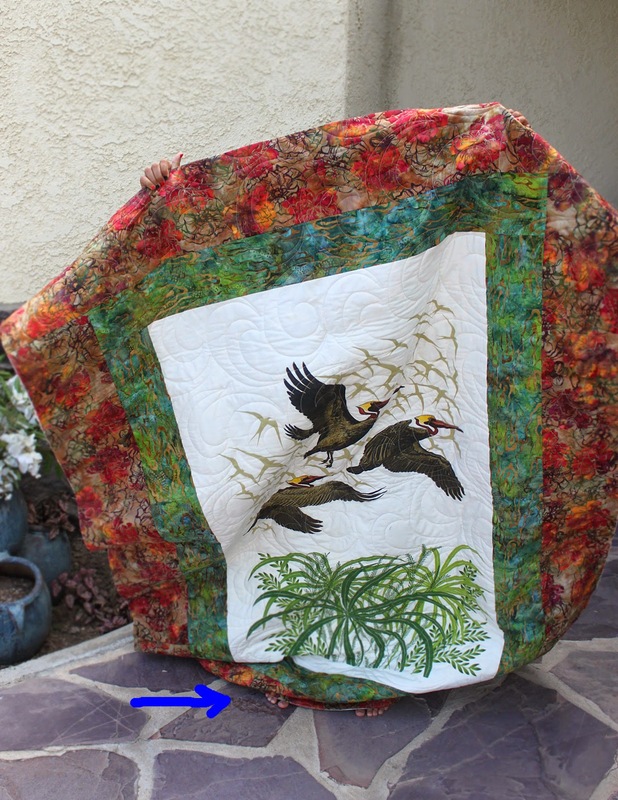 My quilt holder needs to be taller; can you see her toes peeking out underneath? Better but still not tall enough . . . 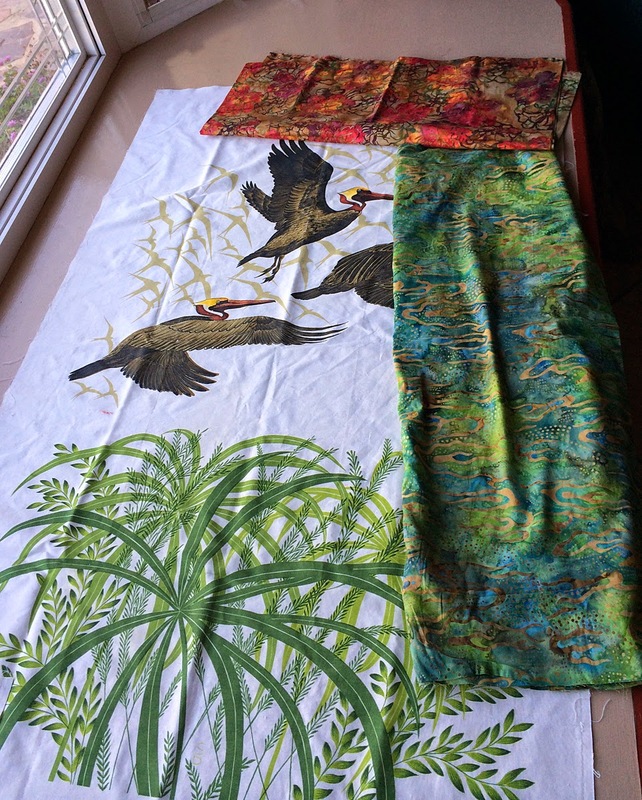 The border batiks are from my stash; both were purchased - separately - on a whim within the last year, just because they were pretty. 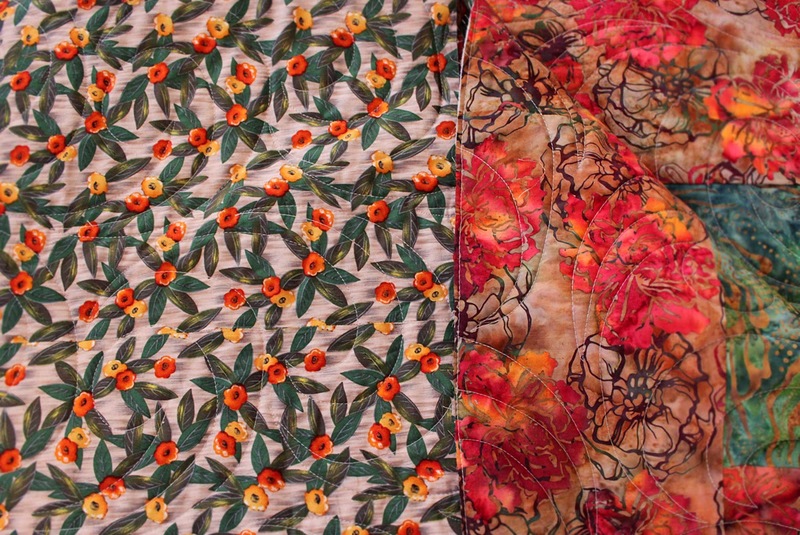 The backing fabric (flowers on the left, below) was also patiently waiting in my stash, purchased last year from the end-of-bolt bin at my favorite quilt store. 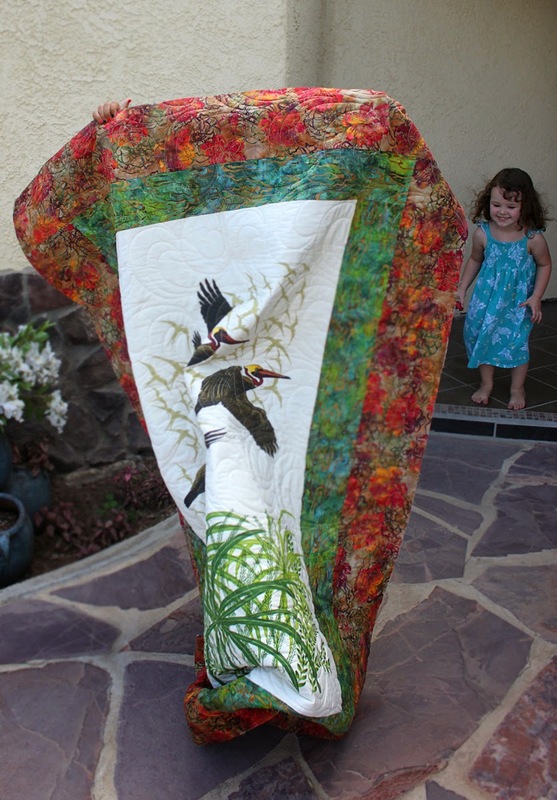 The long-arm quilting was done by My Pal Debbie and it's gorgeous. The curves look like air currents for the birds to glide upon. To say I love how this turned out is an understatement. The way all the elements came together was like Mom watching over my shoulder as I shopped, whispering in my ear that she liked "this one" and "that one". 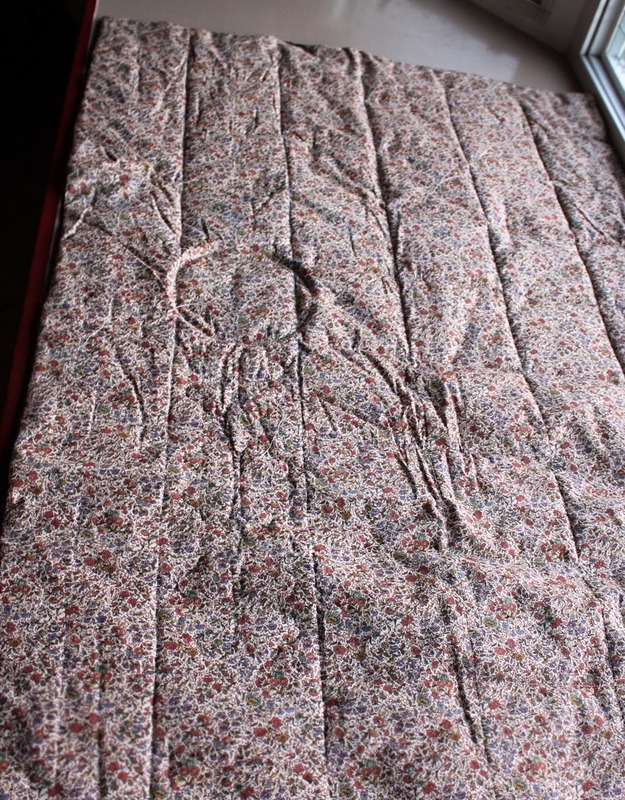 My goal for the month was to complete the top and send it to be quilted; getting it back so quickly was a bonus. 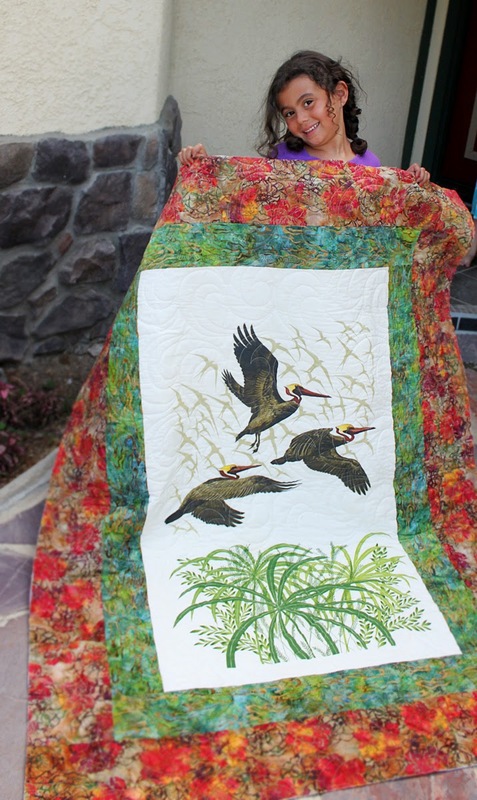 I'll hand-stitch the binding next week and then it will go in the mail - to a sister who has no idea that a gift from Mom and me is headed her way. And that's the part I love most. This 26-year-old FO has finally found its home. Elisa, it's lovely. And you totally win the "oldest UFO project on record" contest! The above is from me; hit the wrong button on my IPAD! So beautiful! And what great memories of your mom.